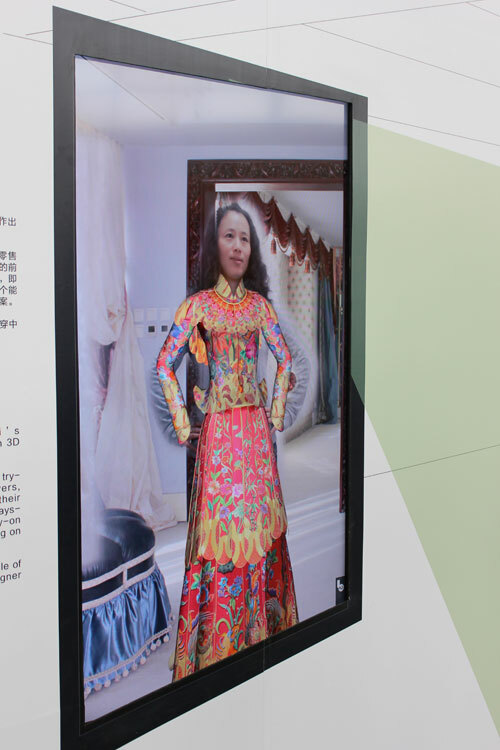 “The virtual dressing room is portable and it can be used after a fashion show to let buyers try on the runway clothes even though the physical items have not yet been produced,” [Anina] mentions. [Read more about the 360Fashion Dressing Room] Layderpertpomre . « David Ubl Spring Summer Resort Collection 2014	» 360 Fashion Network at GMIC Beijing, China.